During a heatwave in early July, I decided that I should get a pool. So off I went on an adventure to find a small pool that would suit my needs. 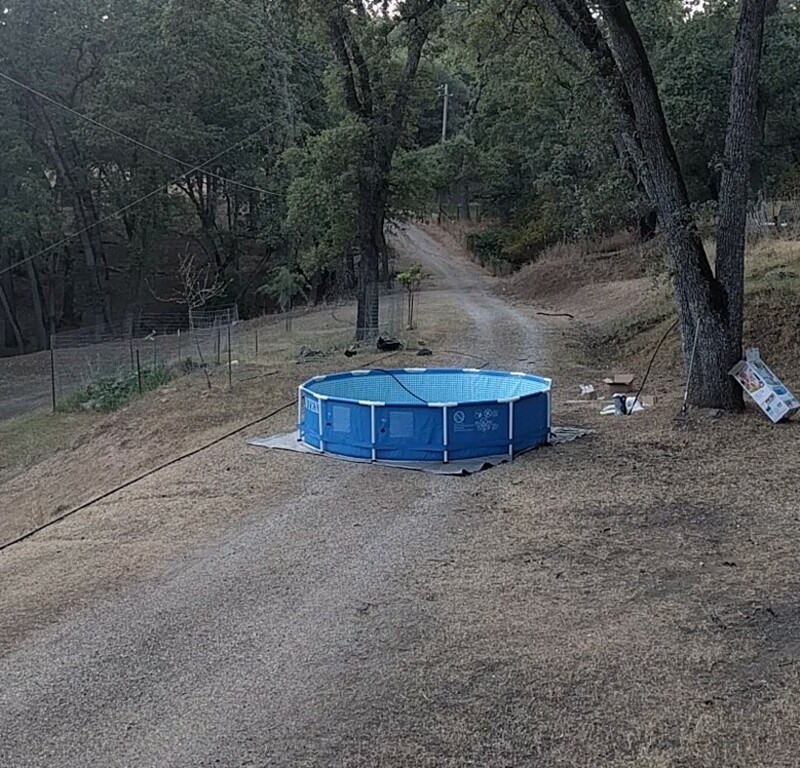 On the drive home from purchasing my new pool, I decided that pools are far more fun if they are utilized for food production and growing aquatic plants. The term for this is aquaculture and that is exactly what I ended up doing. 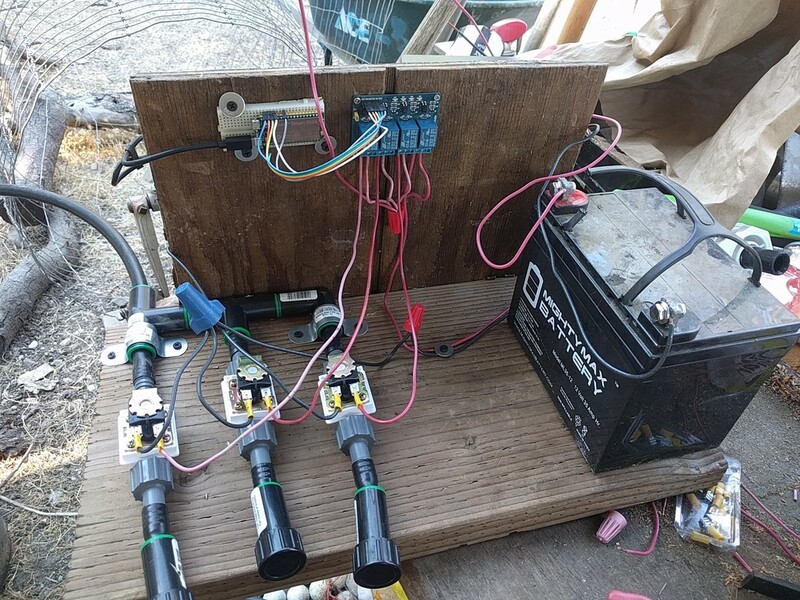 After the pool was setup, I got to work building a solar powered computer to control a water pump and a few valves so that I could remotely control circulating the water and irrigating my veggie garden. The pool instructions vehemently state that the pool must be installed on level ground. There is only one location at my home that is even close to being level: the middle of the driveway. 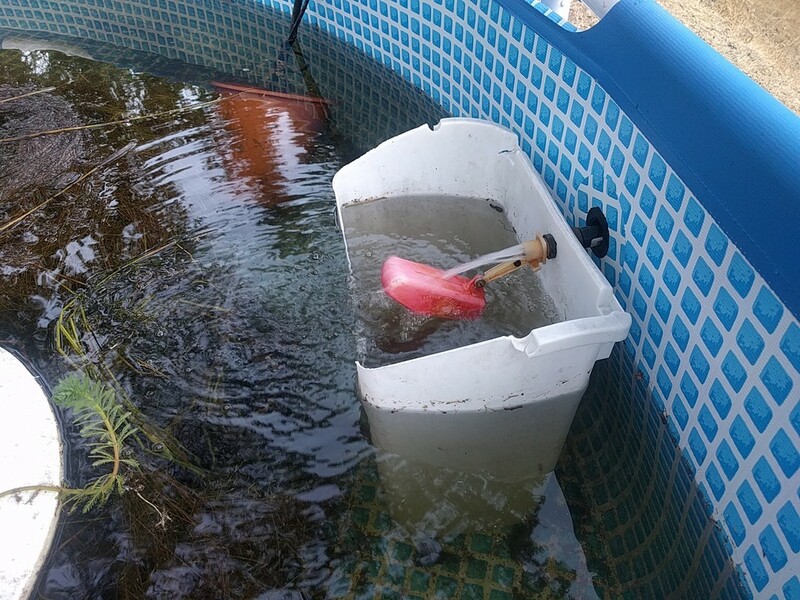 An old broken trash can, and a float from a discarded livestock waterer soon became a float valve for the aqua-thingy. The computer, relay, valves, and charge controller were all mounted to a hella finely crafted bit of wood. OK, I might have just screwed together some scrap wood to make a frame to hold things... but it works! The water hoses are all ½ inch. 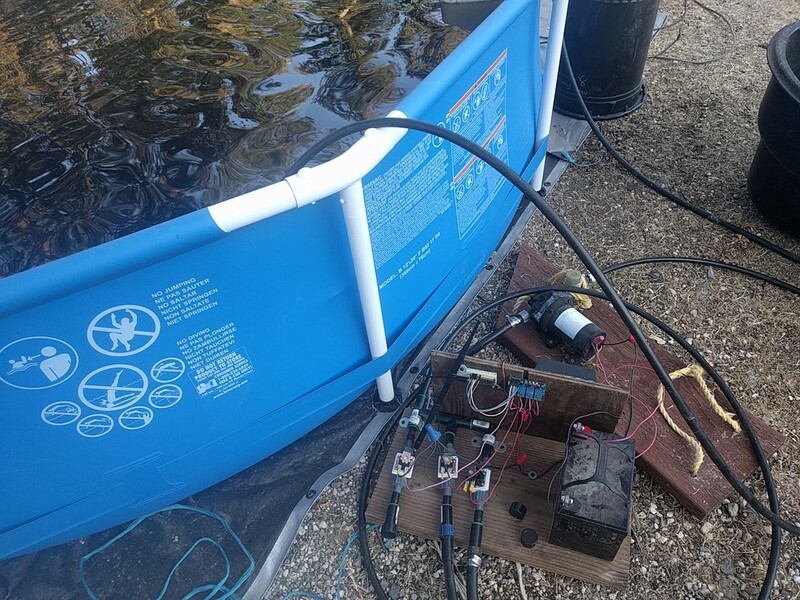 The aqua-thingy is ever evolving, and I am testing new pumps and controller code, and there are a few lotus plants starting to grow in the pool.